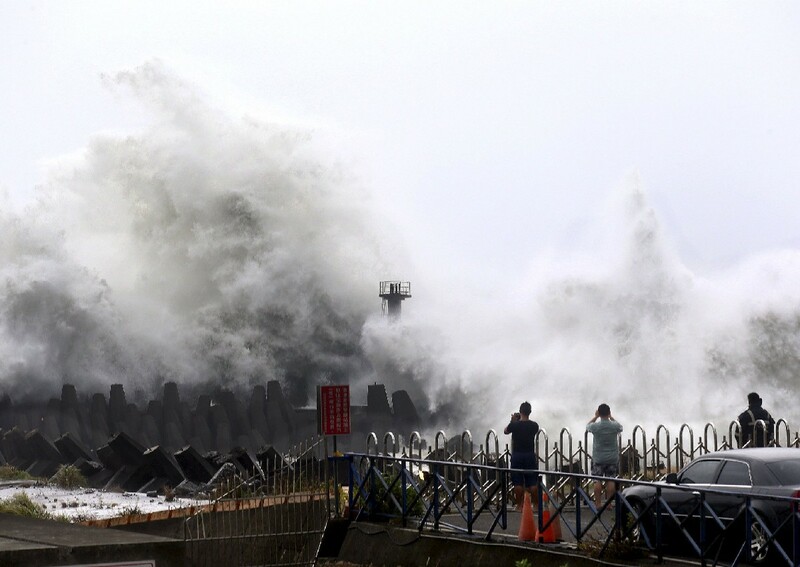 Residents gather to see huge waves stirred up by strong wind as typhoon Soudelor draws near the mainland of China in Wenling, east China's Zhejiang province on August 8, 2015. 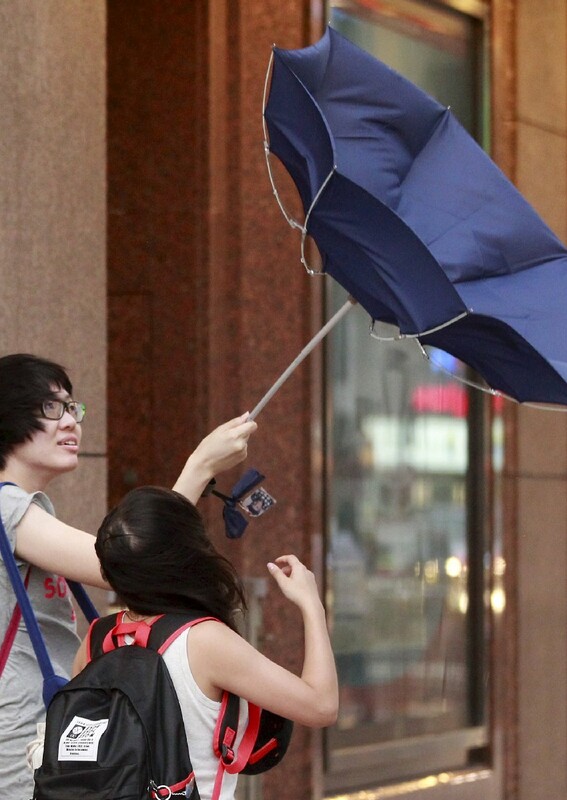 TAIPEI - Typhoon Soudelor battered Taiwan with strong winds and heavy rains yesterday, leaving at least six people dead, disrupting traffic and causing a record blackout affecting over 3 million households, disaster response officials said. 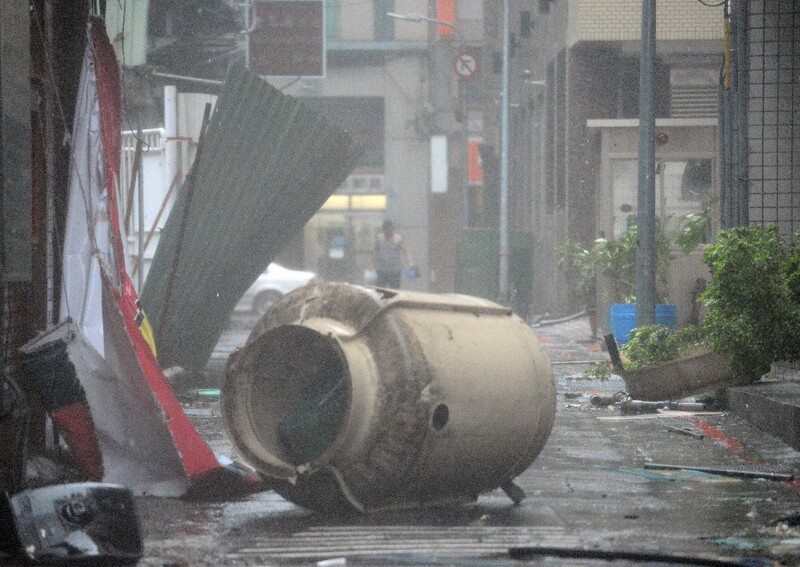 The typhoon, with winds up to over 200 kilometers per hour and a diameter of 300 kilometers, made landfall on the eastern coast in Hualien around 4 a.m., sweeping across the island with a storm system covering the entire island, the Central News Bureau (CWB) said. 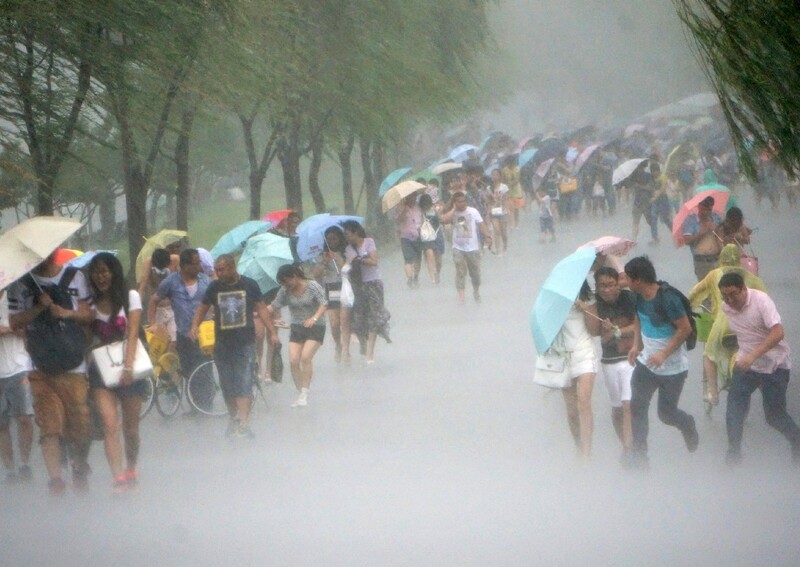 Many parts of the islands recorded rainfalls approaching the 1,000-millimeter mark, with a mountainous area in the northeastern county of Yilan seeing 1,300 millimeters of precipitation, the highest of all monitored regions as of 10 a.m., the CWB said. 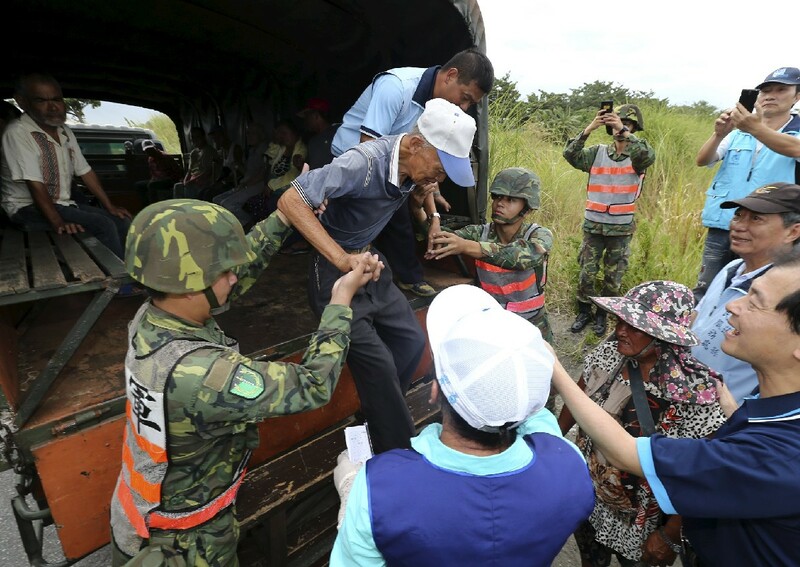 A small village in the mountains of Taoyuan County was buried in a mudslide, but all of its 25 residents had been evacuated before Soudelor arrived, rescue workers said. 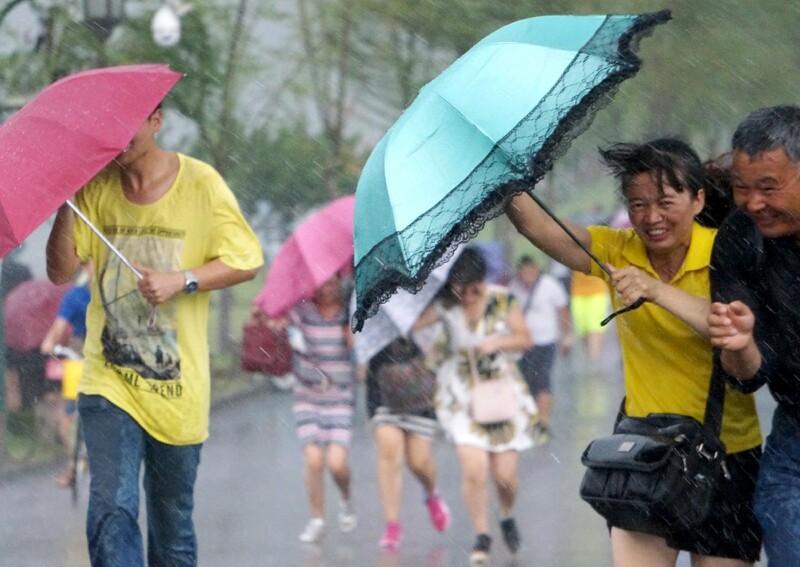 The storm system was expected to leave Taiwan about midnight, but the outlying island counties of Penghu, Kinmen and Matsu would continue to come under threat, the CWB said. Six people have been reported dead in the wake of Soudelor, which has also left four others missing and more than 100 injured. One of the dead was a fireman, surnamed Chen, 48, who was hit by a car in front of the fire station where he works in Pingtung County in the early hours while cleaning his equipment after a firefighting mission, police said. A teammate of his was also hit and was seriously injured. 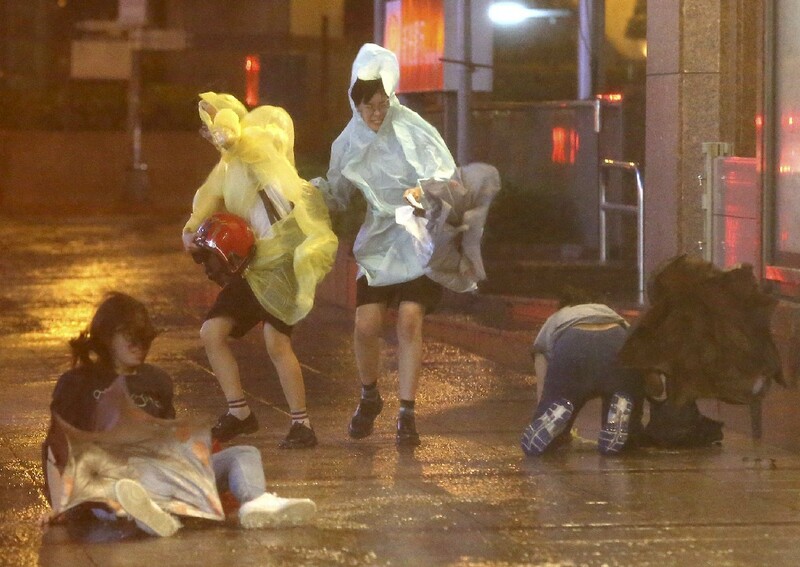 "We didn't want such a Father's Day," Chen's saddened family was quoted as saying by the CNA. Aug. 8 is Father's Day in Taiwan. A migrant worker was killed in Yilan when he was struck by a falling billboard while he was cycling home. 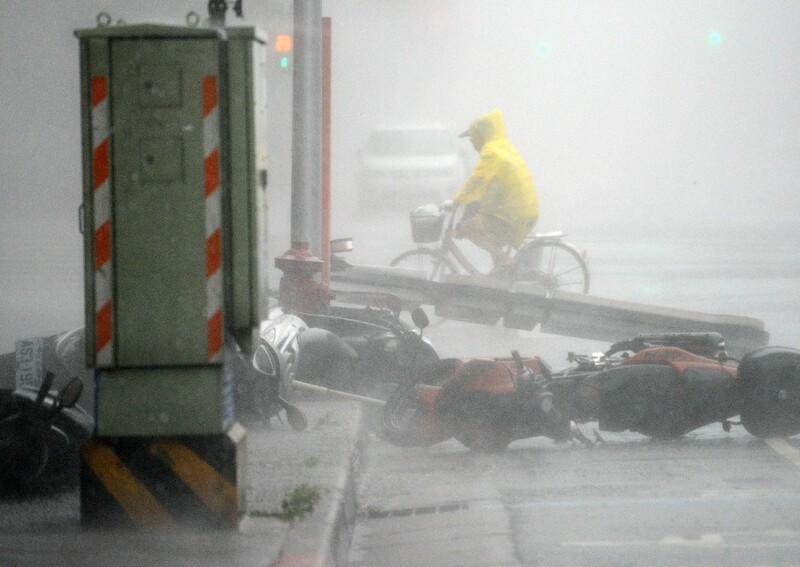 In Taipei, a motorcyclist died after his vehicle hit a tree, police said. 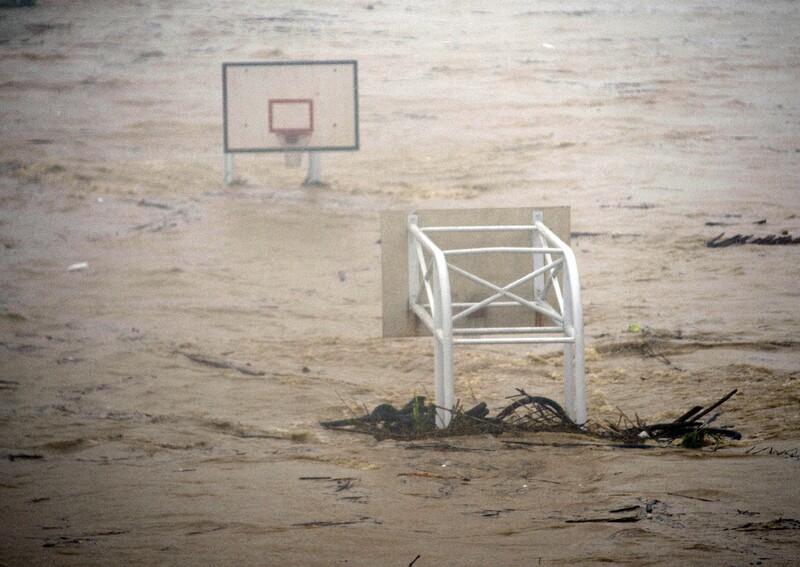 A man was washed away by flood water near his home in Xindian, New Taipei. His body was found later, police added. 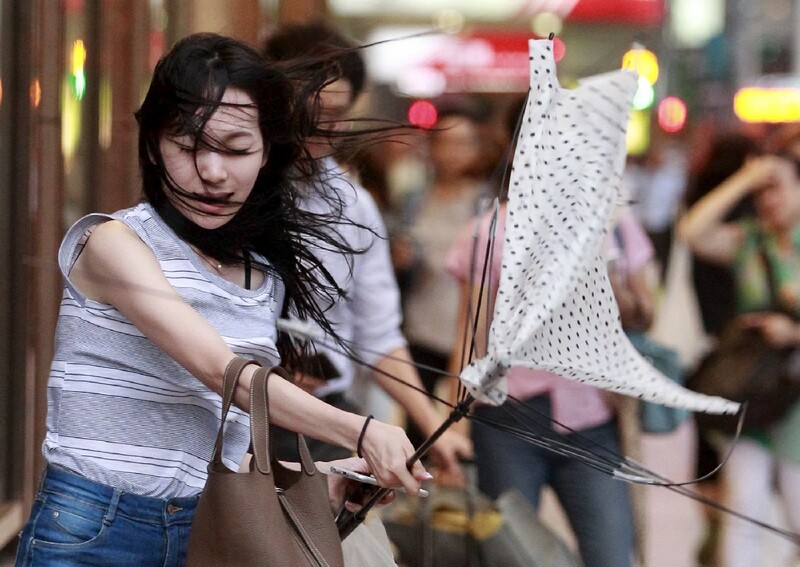 ore than 3 million households around Taiwan saw their power cut off at some point when falling objects severed power lines and strong winds triggered short circuits. The electricity supply to about 1.5 million households had yet to be resumed late in the afternoon, the CNA said. 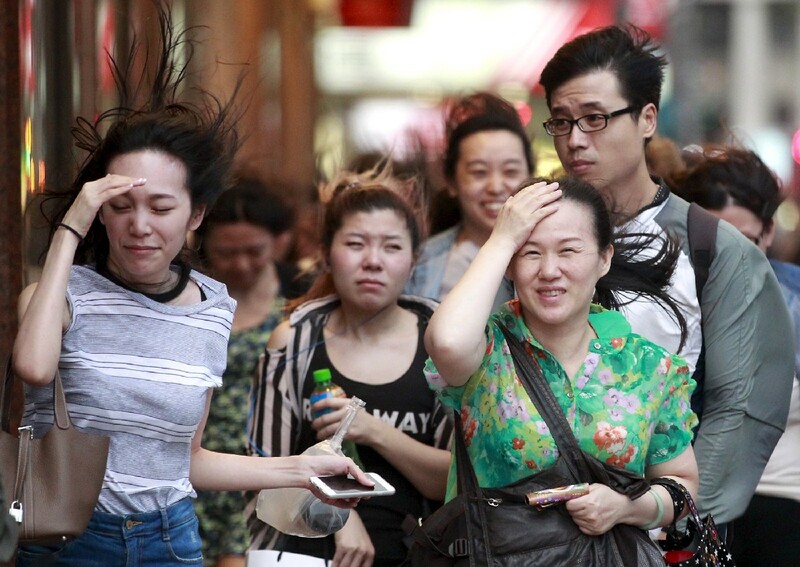 The Taiwan Power Company said it was overwhelmed by the record number of blackouts, and it would take some time before full supply could be stored. Traffic in many parts of the island was stalled. The authorities closed 23 provincial roads, the largest scale road closure since the government introduced a road condition warning system in 2011. 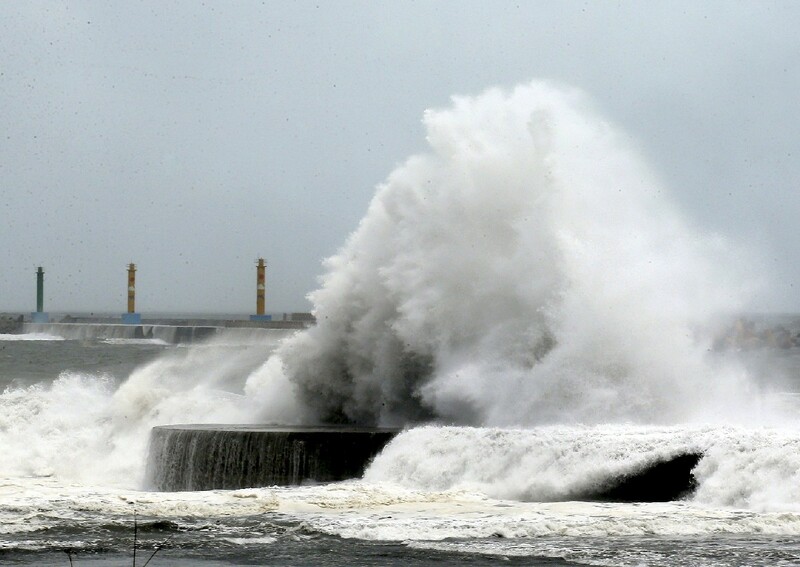 The Taiwan Railway Administration said its services around the island would not resume until midnight. 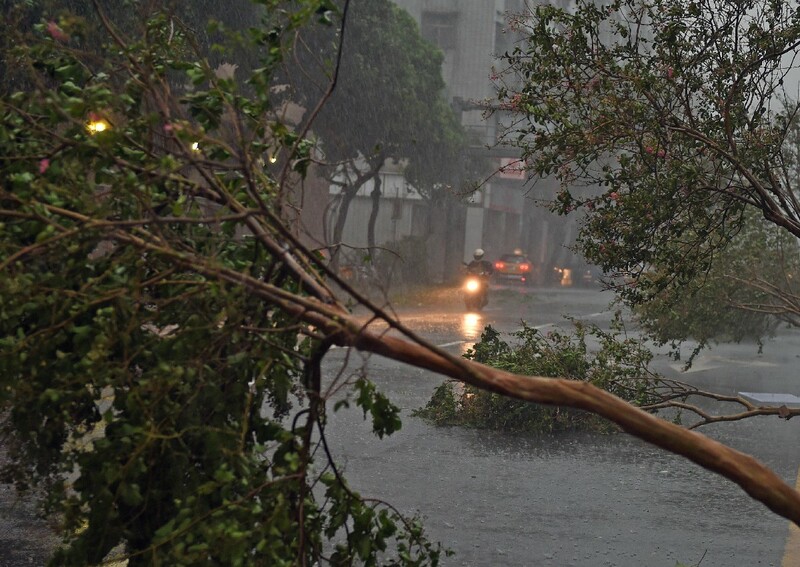 The High Speed Rail said it would resume service at 7 p.m., while bus services in Taipei returned to normal at 6 p.m.
Taipei City recorded its second-strongest-ever gust of wind and the highest-ever number of trees felled during a typhoon, the CNA said. A total 2,079 cases of falling trees were reported as of press time, but city officials said a lot more were believed to have been unreported, according to the CNA. 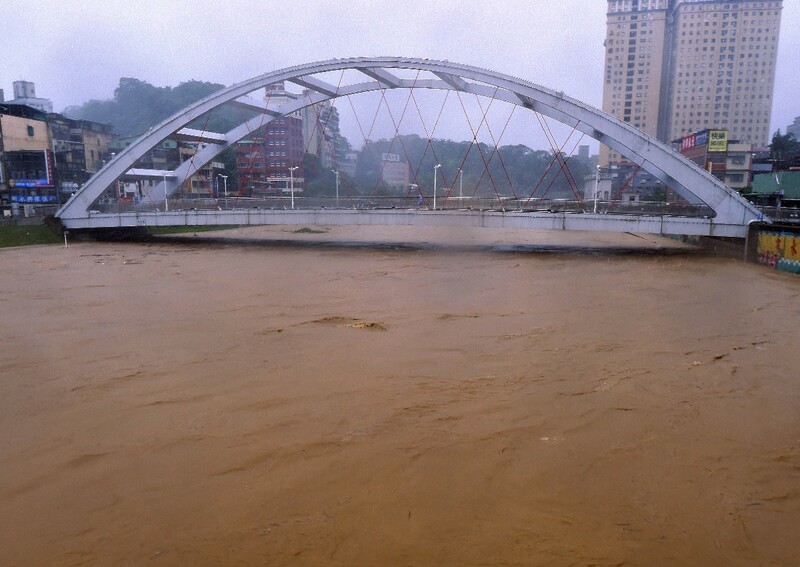 Rising river levels threatened many areas in Greater Taipei, with Xiulang Bridge - which connects Taipei City with New Taipei City's Xindian district - closed to traffic. Many residents in New Taipei's Sanxia district were trapped inside their homes by flooding, rescue workers said. 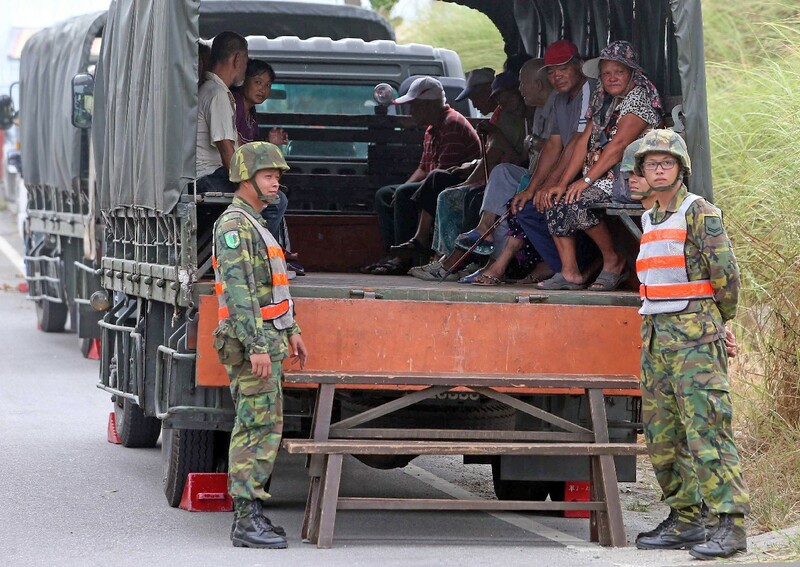 Preliminary estimates of agricultural losses around the island totaled NT$140 million (S$6 million), and Hualien, where Soudelor made landfall, was hit hardest with loss amounting to more than NT$87 million, according to the Council of Agriculture.